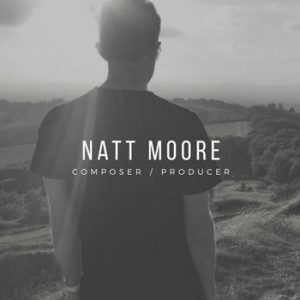 Natt Moore is an artist who produces music in a variety of genres, including electronic, instrumental, ambient, dance, and drone. He composes and publishes his work independently, seeking full autonomy over both the art and commercialization of what he does. Based in the UK, Natt is also the owner of Contempstrumental Records. Natt Moore: Well I published my first releases in Summer 2015 so officially then, my older brother is in the music business also so it was him who really got me into making music – I wanted to be like him. I feel I’ve changed massively since then in regard to how I see music, I’ve realized there’s so much more to music than what hits your ear drums. I used to sit with my brother and work on his music with him, then I started off by myself and learnt about the different tools I can use to do so. Natt Moore: I’m a big movie fan, so my very first musical influences were film music composers such as James Horner; I listened to his work on AVATAR back in 2009 and I was mesmerized by it. 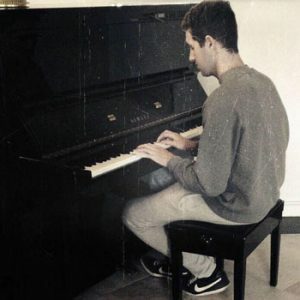 I was impressed with how well he connected the music with the goings on in the movie; there was this motif running through the whole soundtrack and I was in love with it and was always playing it on the piano. Other early influences were Hans Zimmer and his work on the Batman movies, and his most recent stuff: Interstellar, Dunkirk etc. Which artists or producers are you currently listening to? Natt Moore: I’m currently listening to anything in the charts: Ed Sheeran, Due Lipa, Charlie Puth, Clean Bandit, Post Malone; it’s a non-exhaustive list. I don’t think I really actively listen to music rather stick on the radio and listen to whatever is on. I also literally listen to anything that is on my phone; I’m very open to different types of music as it widens my knowledge and fuels my inspiration. Natt Moore: I’m quite liking how electronic music is at the minute, its sound is constantly evolving and shifting but I think electronic music is such an umbrella term as it covers a whole load of different music from electronica (Jean-Michel Jarre) to David Guetta; it’s varied. How do feel you separate yourself from other artists and producers in your genre? Natt Moore: A funny one but I feel my music is sort of ‘all over the place’. I think I’m only really beginning to find the specific style I compose/produce in and I do so in various styles which all generally come under instrumental/electronica so maybe it’s the fact that my music is so diverse that separates myself from other artists/producers. Which core elements do you always try and infuse into your music? Natt Moore: I always start my music with a simple chord sequence or drone, like a piano for instance or an arpeggiated synth, which I use to build my track. I don’t like having gaps in my music and any silences are always carefully thought out. I do this by creating/using soundscapes to engage the listener. I’m a huge fan of using tremolos and arpeggiators to drive rhythm and create emotion. What do you consider a really high point or proud moment in your career so far? 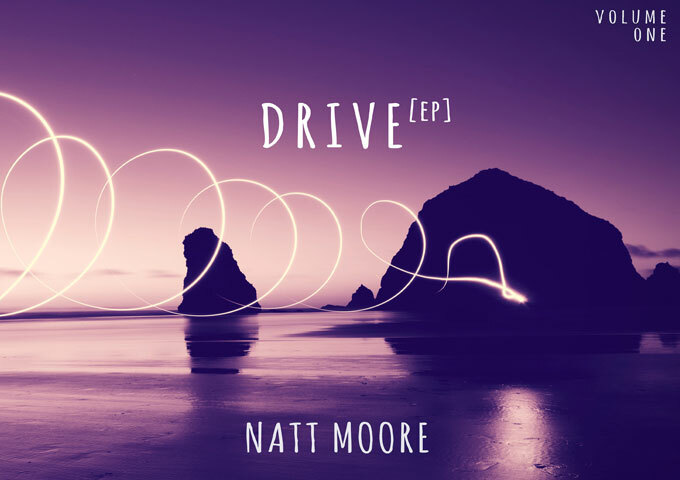 Natt Moore: I’d say releasing ‘Drive, Vol.1’ as a high point as it’s my first proper EP/album and I worked quite hard on it; it took quite a bit of thought as at the time I was going about composing in a different way; I wanted to change my sound. What does your current software/hardware setup currently mainly consist of? Natt Moore: I’m still considering myself an amateur so I’m keeping my setup really basic at the moment. I’m using a MacBook Pro, Beats headphones, Logic Pro X. Which piece of equipment, hardware or software would you consider the most essential in your setup, and that you would be a little lost without? Which is the one piece of equipment or other musical item you are still looking to add to your collection right now? Natt Moore: Ummmm does a violin count? I’m really keen to learn! Probably a good pair of monitor speakers I think which would make the mixing & mastering process easier, but also another pair of ears so I have more perspective about my sound. Natt Moore: In all honesty I just like the fact I can do everything independently, so then I know exactly what I’m doing and I’m in control of everything. To be honest I’m always dreading starting a new project, it’s so daunting as I can be inpatient and want to hear the end product already… the thing I find the most exciting about the whole process is probably the moment that whatever it is I’m working on is finally coming together. Though there can be times when I’ve almost finished and then something doesn’t quite sound right and it’s back to square one! It’s stressful but fun. If you had the opportunity to change one thing about how the current music business works, what would it be? Natt Moore: I think the way in which new artists are found. There are so many musicians out there who have such amazing talent, whether they be a violinist or screamo artist… these people need to be able to motivate and push themselves to do something with their gift. The possibilities are endless; I think the beauty of the music business is talent can be both a hobby and a career, its finding that drive to do more with what you have. What is the idea behind Contempstrumental Records, and is it a vehicle for your music only or will you be featuring other artists as well? Natt Moore: At the minute Contempstrumental Records is just a ‘vehicle’ for my music as your put it yourself but who knows….. I always saw it as really just a descriptor for my music, a play on words: “contemporary” and “instrumental”. I thought it sounded good so it stuck. It could be more but it’s something I would need to think about. Tell us something about your latest album “Drive, Vol. 1”. How long did it take to complete and where did your inspiration come from? Natt Moore: ‘Drive, Vol. 1’ took me perhaps 3/4 months to complete. I’d released my single ‘Drive’ back in September 2017 and I felt that I could do more with it and that’s when I thought of doing an EP album. I wanted to test myself and see if I could match Drive’s sound as most of the time I veer off and end up composing something which sounds completely different to what I initially wanted. My inspiration came heavily from film composer Steven Price who created the phenomenal soundtrack to ‘Gravity’; he’s inspired me to incorporate more soundscaping/sound design into my music, linking but also separating at the same time music & sound. As a composer are you able to lock yourself up in a room and write at will, or do you need to wait until inspiration comes along? Natt Moore: I’d say it’s a bit of both. I will happily lock myself in a room and write at will but also at the same time I need some source of inspiration otherwise I end up hitting a brick wall. I usually find what I originally thought would sound good doesn’t so I go away and come back to it another time to ‘reset’ my thinking processes. Do you have a specific song on the album that is very special to you in any kind of way? And if so, why is it special? Natt Moore: Track 4 ‘Hold On’ I find I connect a lot with, I can’t really put words to it; it’s the more emotive track on the album and as it (and all my other music) is non-lyrical I feel listening to it can leave your mind open to wonder off in various directions. I was going through a break up at the time and the only way I could distract myself from it was to compose and for me ‘Hold On’ reminds me that things will always get better. I think to be able to listen to my music is to be open-minded and non-biased; I want people to be able to listen to something new. If someone has never heard “Drive, Vol. 1”, or your music in general, which keywords would you personally use to describe your overall sound and style? Natt Moore: Rhythm, drive, sound, bass, emotion. Do you ever perform your music live, or feel the need to do? Natt Moore: Not really. It’s not quite ‘dance-to’ music. It’s background, emotive music. You have to pay attention to it to really connect with it. But who knows, I think I need to open myself up a bit more I feel so in the future it’s something I may think about doing. Do you consider Internet and all the social media websites as fundamental in building a career in music today? Natt Moore: I think the Internet plays a really important part in building a career in music, and the various social media platforms aid that: Facebook, Twitter, SoundCloud, Bandcamp, MixCloud. Really the music industry is a like a human body, the vital organs being the artist, the music, the fans; they all need to work together to function correctly. The fans fuel the artist/music and the artist fuels the fans. Finally, can you tell us what’s in store for Natt Moore fans this year? Natt Moore: My main aim for now is to release Drive, Vol. 2 in Autumn, so I’m focusing on that. I’m also hoping to launch a website soon too which is *long* overdue.